In 1898, when Mecklenburgers answered the call of Uncle Sam, Charlotte streets were crowded with well-wishers as the trains carried the men off to training. The celebration of the Mecklenburg Declaration of Independence that year showed the resurgence of patriotic feeling in wartime. This was the first great war fought on foreign soil and on two continents. It expanded the territories under US control. Many North Carolina soldiers had never been out of the Piedmont region of North Carolina, much less at sea or in a foreign country. 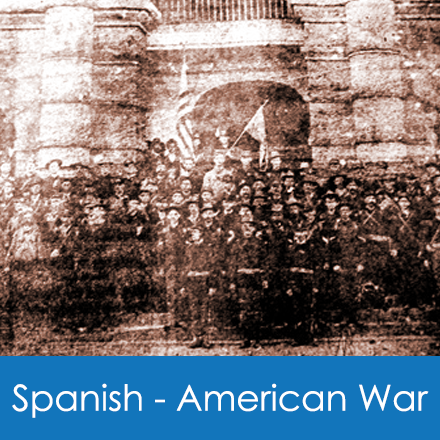 Unlike the Revolutionary War, Civil War, World War I and World War II, the Spanish-American War had a very small economic or historic impact on Mecklenburg County. Its short duration, distant battlefields, and the training required for mostly citizen soldiers kept many men from even getting to the battlefields. the resurgence of patriotic feeling in wartime.